The late Bill Champion was born in Edwards, Miss. Champion attended Hinds Community College for two years before transferring to Mississippi State University, where he received a B.S. degree in 1953. After graduating, Champion served as a Lieutenant in the United States Navy until 1957. He returned to Oxford and received his LL.B. degree from Ole Miss in 1961. As a law student, he was a member of the Mississippi Law Journal, the Moot Court Board and Phi Delta Phi Legal Fraternity. In 1962, he was a Teaching Fellow and earned his LL.M. degree from George Washington University. Champion began his legal career when he joined the Jackson law firm Watkins & Eager where he was an associate for two years. He made his way back to Oxford to join the faculty at the University of Mississippi School of Law in 1965, where he served until his retirement in 1998. During his tenure at Ole Miss, Champion taught thousands of students and was named Outstanding Law Faculty Member by the student body in 1981, 1987, 1990, 1993 and 1996. In 1982, he was selected Outstanding Teacher of the Year. His time at the law school was not limited to classroom instruction. Champion also served as chairman of the Admissions Committee for a number of years, as associate dean and as acting dean. Champion wrote numerous legal publications and was active in The Mississippi Bar. 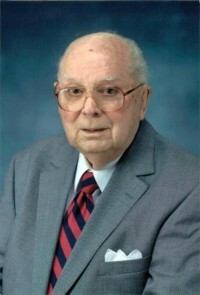 He served on and chaired many committees, namely the Mississippi State Bar Ethics Committee, the Bar Complaints Committee, chaired the Committee on Unauthorized Practice of Law, was a member of Estates and Trusts Section and served as reporter for the Subcommittee on Rules of Civil Procedure of the Mississippi Supreme Court Advisory Committee on Rules. Champion posthumously received the Mississippi Bar Foundation’s 2011 Professionalism Award, an award presented to a lawyer whose life, practice and service display outstanding character and integrity. The late Tommy Ethridge was born on May 2, 1918 in West Point, Miss. He received his B.A. in 1940 and M.A. in 1946, both Liberal Arts degrees, from the University of Mississippi. In 1951 he obtained his LL.B. from the Ole Miss law school. He is the son and grandson of former Mississippi lawyers and the brother of William Ethridge, former Chief Justice of the Mississippi Supreme Court. Ethridge served in the United States Marine Corps in WWII, seeing serious combat in the Marshall Islands, Saipan, Tinian and Iwo Jima. After the war, Ethridge returned to Oxford, to make it his home after graduating from law school and enjoy a long and prolific legal career. He was a senator in the Mississippi legislature from 1948-1954. He served as the attorney for the city of Oxford, and was the first full-time U.S. Attorney in the Northern District of Mississippi from 1954-1961. The U.S. Attorney’s Office in Oxford is named for Ethridge. He is a former commissioner of the Mississippi Bar Association, a former chairman of the Criminal Law Section of the Mississippi Bar, and he served as faculty advisor to the Mississippi Law Journal. He was a member of the board of the Mississippi Judicial College and the Mississippi Institute of Continuing Legal Education, as well as president of the Lafayette County and Third Circuit District Bar Associations. He was a partner in the Ethridge and Grisham Law Firm for many years, and was of Council with Hickman, Goza and Spraggins. In addition, Ethridge served as the university attorney for the University of Mississippi from 1971 to 1982, where he was responsible for securing the intellectual property protection for the university’s symbols and name. He was a law professor for 24 years at the University of Mississippi, and was the recipient of the 2007 Lafayette County Bar Association Lifetime Achievement Award. Also a longtime supporter of the University Jazz Band, Ethridge served as president of the Ole Miss Jazz Alumni Club. In 1985 he was placed in the Jazz Alumni Hall of Fame. In 2006 he was inducted into the University of Mississippi Alumni Hall of Fame. Ethridge was also committed to his community. 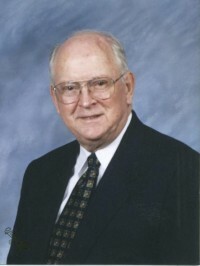 He was a member, former Elder, Deacon, and chairman of the board of deacons at the First Presbyterian Church of Oxford. He also served as a board member for the Oxford-Lafayette County Chamber of Commerce, as a trustee of the Mary-Buie Museum and as a board member of the Oxford-Lafayette County Hospital. Larry Franck is a native of Vicksburg and received his B.B.A. in 1953 and his LL.B. in 1958, both from the University of Mississippi. While at Ole Miss, he served as editor of The Mississippian, was a member of Scabbard and Blade, an honorary military society, and was a member of Omicron Delta Kappa honorary leadership fraternity. Franck was elected to the university’s student Hall of Fame his senior year. After receiving his undergraduate degree, Franck became a U.S. Army officer in the 11th Airborne Division from 1953 to 1956. Afterwards, he attended law school, where he was Associate Editor of the Mississippi Law Journal and a member of the Moot Court Board. He was also named Outstanding Law Graduate for the class of 1958. The majority of Franck’s legal career was with the Jackson law firm of Butler, Snow, O’Mara, Stevens, & Cannada, PLLC, where he served as chairman from 1996 to 1998, and was a member of the Mississippi Bar from 1958 to 2000, when he retired. Franck’s professional involvement includes being named a Fellow of the American College of Trial Lawyers, serving as president of the Mississippi Defense Lawyers Association, and as president of the Bar Association of the Fifth Federal Circuit. He served as chairman of the Mississippi Supreme Court Advisory Committee and was on the board of directors of the American Judiciary Society. In addition, he was president of the Charles Clark American Inns of Court and was chairman of the Mississippi Supreme Court Commission of Bar Admissions and Review. One of his more significant accomplishments is his part in the creation and adoption of the Mississippi Rules of Civil Procedure by the Mississippi Supreme Court. 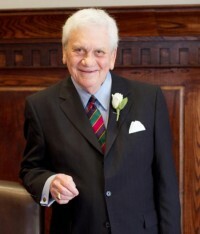 Frank’s distinguished career has earned him numerous awards, including the Mississippi Bar Award of Merit, the American Board of Trial Advocates Civil Justice Award, the American Inns of Court Professionalism Award for the Fifth Circuit, the Mississippi Bar Foundation’s Professionalism Award, and the Mississippi Bar Lifetime Achievement Award. Frank Montague grew up in Hattiesburg, Mississippi, graduating as an honor student from Hattiesburg High School. He went on to obtain his LL.B. in 1950 and then a B.S. 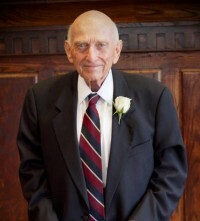 degree in civil engineering in 1951, both from The University of Mississippi. While at Ole Miss, Montague served as president of both the student body and Beta Theta Pi Fraternity. His academic career included memberships in Phi Delta Phi Legal Fraternity, Chi Epsilon Honorary Engineering Scholastic Fraternity, and ODK honor society. He was a recipient of the American Society of Civil Engineers Award of Merit as Outstanding Senior Engineering Student and was placed in The University of Mississippi Student Hall of Fame. Montague is a partner at Montague, Pittman, & Varnado in Hattiesburg, where he was president until 2001. His primary area of practice is in civil litigation and general civil practice. Montague has authored numerous legal publications and taught Journalism Law at the University of Southern Mississippi. He has also spoken at various professional seminars and judicial conferences as a lecturer at the University of Mississippi School of Law and Mississippi College School of Law. His professional service includes membership in the American Bar Association, the ABA Standing Committee on Professional Discipline, chairman of the Complaints Committee of the Mississippi Bar, chairman of the Mississippi Institute for Continuing Legal Education, founding president of the South Central Mississippi Bar Association and chairman of the Lamar Order. He served as president of the Mississippi Bar in 1975-76 and as president of the Mississippi Bar Foundation in 1977-78. In 1986-87 he was president of the Mississippi Defense Lawyers Association. Montague also chaired the Mississippi Tort Claims Board during its first two years of existence. In addition to his responsibilities to his firm, Montague was also the city judge of Hattiesburg from 1956-60 and the city attorney from 1965-74. Montague is also a dedicated member of his community. His involvement includes serving as president of the Hattiesburg Kiwanis Club, executive board member of the Area Development Partnership, trustee of Belhaven College and trustee of the Presbytery of South Mississippi. In addition he has been extremely involved at all levels with Boy Scouts of America, March of Dimes and American Red Cross. A U.S. Navy veteran of WWII, Montague was married to Mary Dixon Montague. Their children are F. Douglas Montague III, H. Dixon Montague and Brian A. Montague, all of whom are practicing attorneys. 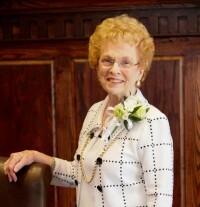 Former Chief Justice Lenore Prather is a West Point, Mississippi native. She received her bachelor’s degree from the Mississippi University for Women and afterwards attended the University of Mississippi School of Law, where she received her LL.B. degree in 1955. From 1963 to 1971, she worked at Mississippi State University in the Communications Department as a part-time instructor. After a time in private practice, Prather was appointed as the Municipal Judge in West Point. In 1971, Governor John Bell appointed her as the Chancery Judge for the 14th Chancery District in Mississippi, which consists of Lowndes, Clay, Oktibbeha, Noxubee, Webster, and Chickasaw counties. This appointment made her the first woman to hold the Chancellorship in the state, a position she held for 10 years. Prather also attended the National Judicial College in Reno, Nevada following her appointment as Chancellor. In 1982, Governor William Winter appointed Prather to the Mississippi Supreme Court, making her the first female Justice for the state of Mississippi. In 1993, Prather served as Presiding Justice and in 1998 as Chief Justice for the Supreme Court. After her role in the Mississippi Supreme Court, Justice Prather served as interim president at Mississippi University for Women in Columbus. In 2003 MUW presented her with an honorary Doctorate degree. Notably, Justice Prather is a 1986 inductee of the University of Mississippi Alumni Hall of Fame and was selected in 1995 as the Ole Miss Law Alumna of the Year. She was included in Who’s Who in America from 1984 through 2002. Prather is a two-time recipient of the President’s Commission on the Status of Women Award for Outstanding Mississippi Women and the Distinguished Jurist Award by Mississippi State University. She is a former member of the Mississippi Humanities Council, and was active in Southern Women in Public Service, an initiative of the John C. Stennis Institute. Justice Prather is a Rotarian and is a Paul Harris Fellow within the organization. In 2009, in recognition of her outstanding lifetime contributions to the state of Mississippi, Governor Haley Barbour presented her with the Mississippi Medal of Service.